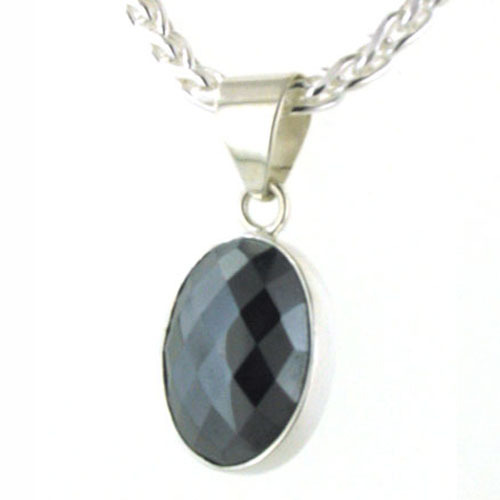 Checker cut haematite pendant in sterling silver. 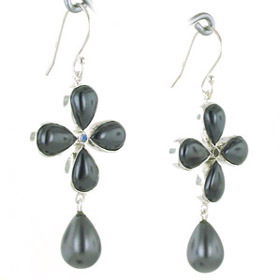 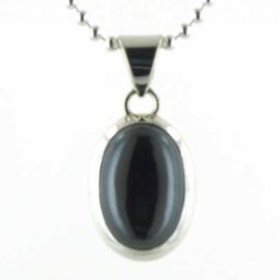 Haematite is iron oxide - a metallic gemstone - and has a magnetic structure. 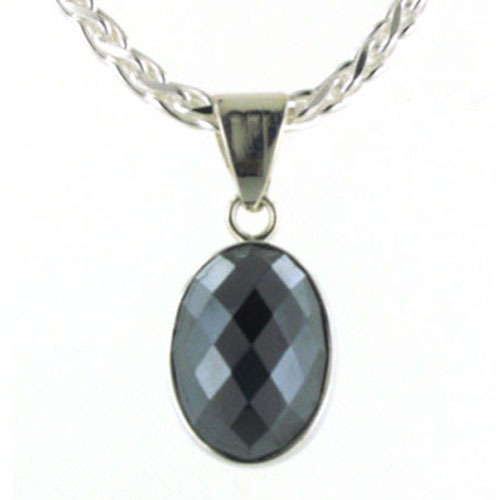 It gleams with silver, grey and black as the light catches the faces of the facets. 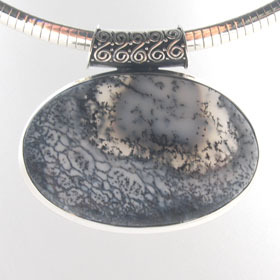 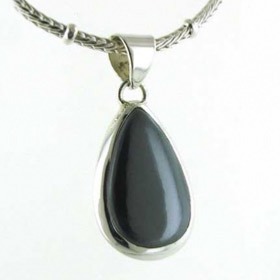 It can be banded with red/orange iron deposits but the pendants we are offering are pure "gunmetal" colour. 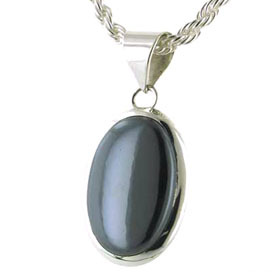 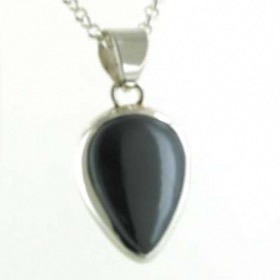 Haematite looks perfect in sterling silver and being a neutral grey, mixes well with many colours. 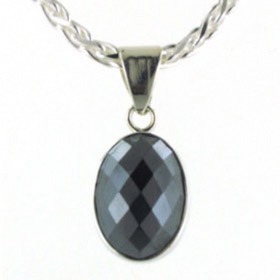 The chain shown with this pendant is our diamond cut 3.5mm silver wheat chain (see below). 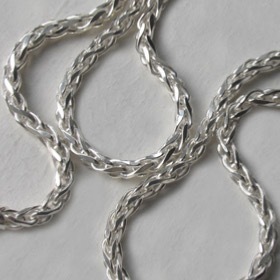 See our collection of Italian silver chains to chose and create your own individual necklace.